What if you were to give decision‑making a real boost? And what if data analysis could be turned into intuitive dashboards at long last? Discover the power of maps with Galigeo Location Analytics. Using your business intelligence platform, you can create, share and integrate user‑friendly map displays. In just a few clicks, your client and business data will come to life. Did you know that about 80% of your data includes a geographical dimension? With the Galigeo Location Analytics platform, you can take advantage of this spatial element to enhance your statistical analysis capabilities. Create relevant map displays and intuitive dashboards, and make the best decisions to improve your performance. Galigeo Location Analytics has been designed to be used by everyone, using any kind of application and on any kind of medium. It’s easy to integrate Galigeo Location Analytics – there’s no complicated configuration and it can be done on the Cloud or on premises. Benefit from a single platform to create, analyse and share your map displays and spatial analyses. Get full advantage as soon as you start to use it. No need to be a geomarketing or business intelligence expert to access intuitive performance indicators. Access your business data from any source whatsoever and correlate it with contextual information (financial, demographic, etc.) from our catalogue. It will open up a whole new field of BI possibilities. Create new performance indicators directly from your application, such as your sales territories and target areas. Map your indicators at all geographical levels. From country to street levels, customise the look of your maps using our wide choice of displays, such as heat maps, choropleths (with shaded colours) or pie charts. In the click of a mouse, display what matters to you, superimpose your various analyses and get new insights. Base your decisions on objective and reliable indicators. Activate powerful big data processing technology to improve your performance. Thanks to powerful algorithms, you can apply predictive models to your spatial analyses in order to predict how your KPIs will change. You can identify the next big trend at a glance and keep one step ahead of changes in your market. The Galigeo Location Analytics solution is customised to your business and technical requirements. Our goal is to provide the best experience to users. Discover the different options we offer. Create your spatial analyses and map displays with ease directly from your browser. You can then share what you’ve found with your team thanks to the integrated portal. 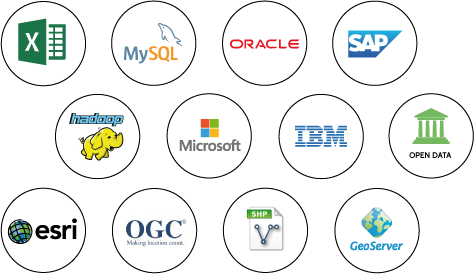 Give the apps and software you use every day a boost with all the geospatial business intelligence capabilities of Galigeo Location Analytics, and do it in record time when you use our connectors and APIs. Get direct access to all the power and features of the Galigeo Location Analytics platform in SaaS mode. Improving crime prediction with location intelligence. To bolster its pragmatic approach to the fight against crime, the institution has chosen to rely on Galigeo’s geospatial business intelligence platform. SNCF uses predictive analytics to ensure transport safety without increasing costs. SNCF Security put its trust in the Galigeo geospatial business intelligence platform to optimise decision‑making. 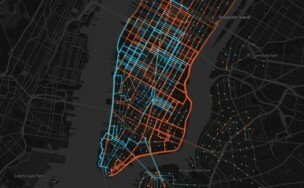 When mapping analysis improves the smart city. The French capital has chosen to use the Galigeo geospatial business intelligence platform. Its aim is to get a better understanding of residents’ habits and behaviours as regards waste and set up waste collection accordingly. Get in touch with us now and our experts will get back to you as soon as possible.